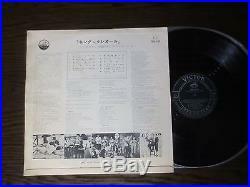 ELVIS PRESLEY JAPANESE ORIGINAL LP Title: " KING CREOLE ". Comments: Very rare original Japanese issue LP, on a black & silver HMV Victor label, flipback sleeve with Japanese text printed on the reverse. See picture for scratches or damages. The photo gives priority to the condition. Cover VG++++ / VG condition Spine& seam is No split. Only as a guide of Quick Condition Check. The condition of the disk is viewing. Record is used, Surface noise will may be evident upon playing! Please choose with registered or EMS. It is not applied in the case of the damage. 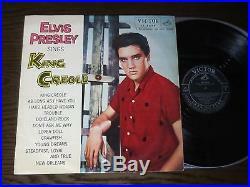 The item "Elvis Presley 1958 Japan Only LP KING CREOLE LS -5086 Japanese 2" is in sale since Wednesday, October 26, 2016.